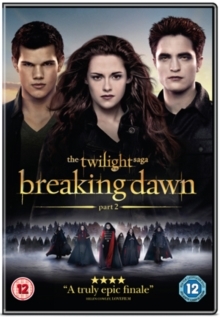 The last instalment of the teen vampire saga based on the bestselling books by Stephenie Meyer. After Bella (Kristen Stewart) is turned into a vampire by her lover, Edward (Robert Pattinson), she appears to be enjoying her new immortal life and the abilities bestowed upon her. But after Irina (Maggie Grace) mistakes Bella and Edward's child, Renesmee (Mackenzie Foy), for an 'immortal child' and tells the Volturi this, they vow to destroy the potentially threatening girl and the whole Cullen family for allowing her to be transformed. In order to protect themselves and Renesmee, the Cullen clan must enlist the help of other vampire clans from around the world, in the hope of convincing the Volturi of the false claims of Irina.